Look… on your desk! Is it a bird? Is it a plane? 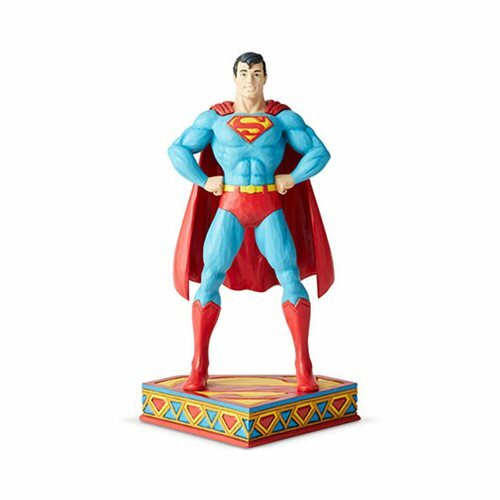 No, it's the DC Comics Superman Silver Age Statue by Jim Shore! The Man of Steel stands tall and proud… and happy… in this wonderful piece from renowned artist Jim Shore. He measures about 8 1/2-inches tall and is made of polyresin and calcium carbonate.